I’ve been meaning to blog about Jena, the little city I’ve been living in for the last one and half years. I feel like I finally have an objective perspective now that the culture shock from the initial months of living in Germany has mostly worn off. Being a big-city girl for practically all of my life, and having never lived outside Kenya before, there were some new experiences coming here. 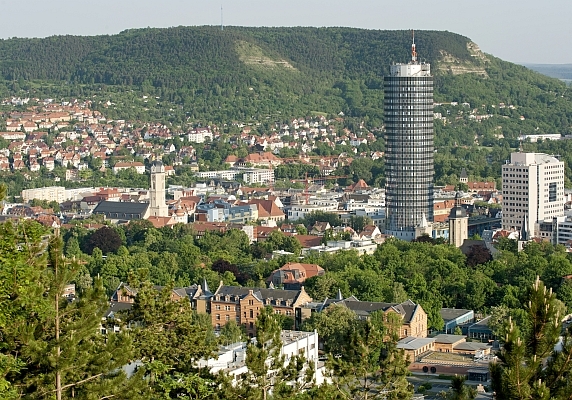 Jena is a small university city of about 100,000 people, of which 20,000 are students. It’s located in the former East Germany but geographically, it’s more in central part of Germany. 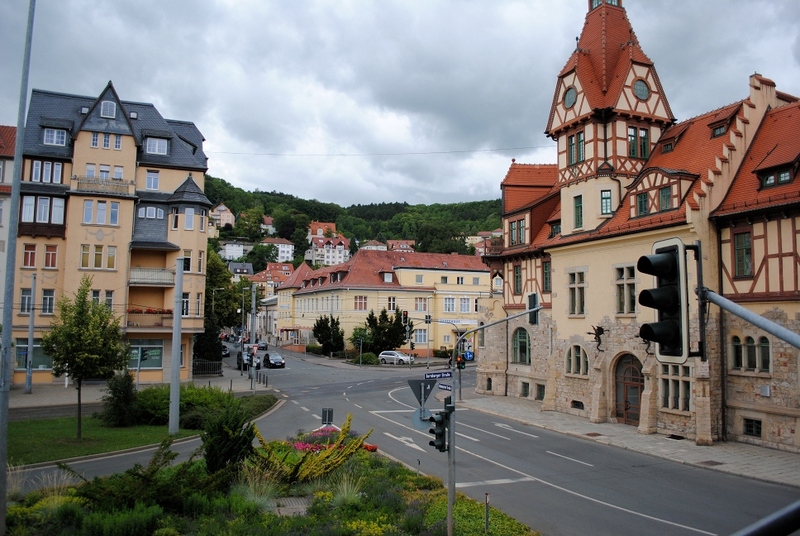 Jena is an old picturesque city. Goethe, Schiller, Martin Luther, Karl Marx lived here once upon a time, and the university I go to is almost 500 years old, so the place has some interesting history to speak of. The city centre is small and most important places are within walking distance of it, which is good, as the streets are pleasant to walk in. The city is generally quiet—something that continues to stand out for me, coming from a bustling large city. This is probably the first time in my life that I am experiencing pin drop silence in the daytime. Even in the country side in western Kenya, which for me embodied outdoor quietness, there is always some sound to be heard, be it a dog barking somewhere, people conversing in their compounds or yelling greetings across fences or streets, children playing noisily, etc. In Jena, I often catch myself listening for something to break the perpetual stillness, quite an unusual experience for me. Maybe the areas I have lived in are just particularly quiet. 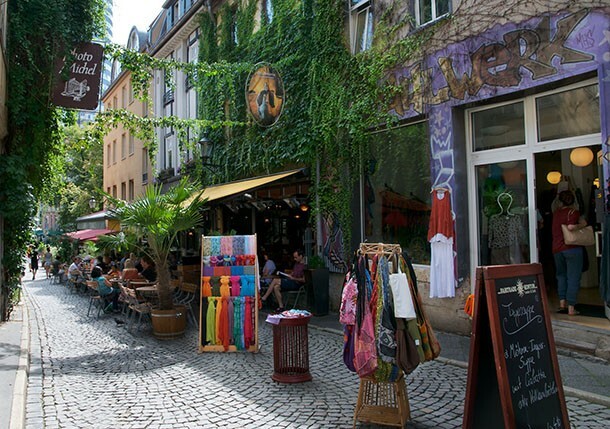 The older parts of the city are charming, with their narrow winding streets and quaint shops. I like the architecture in these parts of the city, especially houses built using the timber-framing/woodworking method that was once common in Germany. The centre of the city features a single imposing skyscraper – the JenTower, which offers excellent views of the surroundings. You can see it from almost every part of Jena, so I use it to directionally orient myself whenever I’m outside the city centre, even though Jena is too small to get lost in. In the more upmarket areas of the city, the stand-alone family homes are beautiful, and usually small. This was surprising to me as I am used to seeing large mansions set in expansive compounds in the suburbs of other cities outside Germany. Even the cars are generally small, fuel-efficient cars… it’s always surprising to come across an SUV here. This may say something about the German perspective of conspicuous wealth… Back to homes in Jena: I like that the compounds are open-plan usually with low picket fences. And since one can see into people’s compounds, it’s easy to see that they care for their little gardens, and are obsessive about flowers especially on the spring, which is nice. The city is generally green and is surrounded by mountainous forestry, and this makes for beautiful photography and fun hiking excursions. The public parks offer nice places to lounge on and do barbecues during the spring and summer. The shopping experience also has something to offer. Jena has many little street-shops that sell all manner of things, from bakeries to tchotchke shops, not to mention the delicious bratwurst and doner-kebab street vendors. Strolling through the city on a sunny Saturday morning (or any morning if you’re a grad student like me…) is really pleasant. Occasionally, there’s a flea market in the city centre, and the Christmas markets at the end of the year deserve a separate blog post. The only mildly upsetting thing is that all these places close down promptly at 8pm, and don’t open at all on Sunday. People take their day of rest and recuperation very seriously. All in all, I have had a good experience living here. I see it as the perfect place to study as there not as many distractions as there would be in a larger city. But once in a while I crave the big-city commotion, especially the Nairobi bustle and dust. In the spirit of sharing happiness, here is Jena’s rendition of Pharrell Williams’s Happy song. 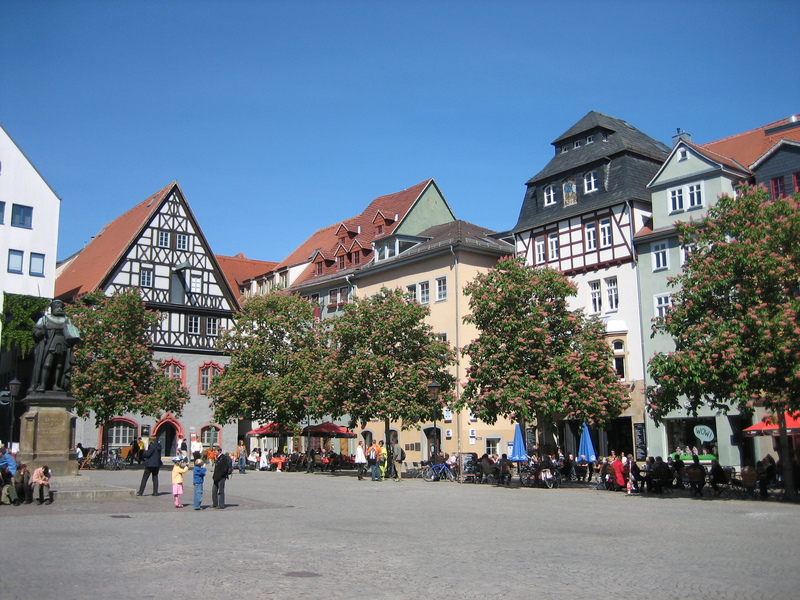 This entry was posted in Europe, Germany, Study abroad and tagged Germany, Jena. Bookmark the permalink. great piece Elsie 🙂 I feel like I now know the place a little. Nyagah, you’re welcome to visit! Please can I get a job as a student in Jena? The answer to that question is: It depends. As a student your residency permit allows you to work for several hours a week. But to get a job here, German language skills are crucial. Hi Elsie, I’m about to move from Australia to Jena with my family, and part of my research will be to do with new literacy movements in West Africa and Horn of Africa. Nothing to do with economics I’m afraid, but I’d love to connect with any African or Africanist scholars in town. Any suggestions? Hello Piers. I apologise for the long delay in responding to you. Are you in Jena already? I could put you in touch with some African scholars here. Hie Elsie, I’m moving to Jena in October this year. I would like some contacts with some African scholars there. Hi Lloyd. Unfortunately I have already moved to another city, and my African academic contacts in Jena have moved too. But there is a friendly African community there that you will be able to plug into. Hi Elzie, reciprocal apologies! Just noticed your reply. Can you send me an email to kelly at shh.mpg.de? Thanks very much for this. Northern theories for Southern contexts? The Study of Innovation and Sustainability… What about Politics, Economics and Culture?